The Doctor, whose compassion blurs the lines of professional objectivity, with Xavier. The Industrialist, a prisoner of time, incarcerated for life. Xavier, whose endearing approach to life usually ends up rubbing people the wrong way. 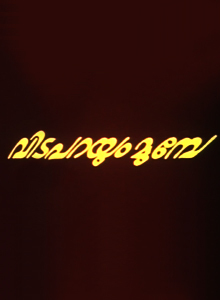 Vida Parayum Munpe (1981) marked the beginning of Bharat Gopy’s collaboration with Director Mohan with whom he would go on to do two more acclaimed productions, Alolam (1982) and Rachna (1983). This was also the legendary actor’s first screenplay written by John Paul (of the popular John Paul – Mohan combo), and his first and last onscreen collaboration with Prem Nazir. ( Thank you Dr Saji Kumar for this update) Bharat Gopy went on to co-star with Prem Nazir in one more movie, Nilavinte Naattil (1986)directed by Vijay Menon. 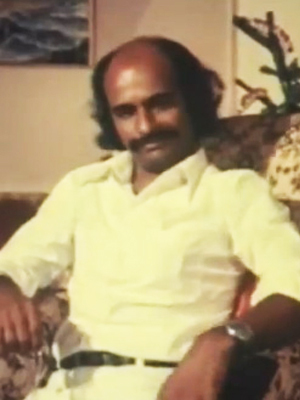 in Vida Parayum Munpe also bagged the award for the Second Best Film of the year at the 1981 Kerala State Film Awards. Vida Parayum Munpe (1981) was a re-iteration of celebrating and appreciating the innate, simple, good things that life throws your way, and unconditional love. Xavier, a happy-go-lucky and seemingly irresponsible Office Attendant is loathed for what he is by his office boss, whose tightly wound and regimented life stands diametrically opposite Xavier’s ideals. Unable to “adjust” to this indiscipline, he has him fired. A common friend, Thomas, an oncologist has some surprising insights on Xavier, as Madhavankutty, the boss and a dear friend shares office gossip with him. An intrigued Madhavankutty’s efforts to know more about Xavier, in turn, changes his outlook on life in ways that take him by surprise. How can you not fall in love with this actor? ഭരത് ഗോപിയും എന്‍െറ സംവിധാനത്തില്‍ ആദ്യമായി അഭിനയിക്കുകയായിരുന്നു. കുറച്ച് എക്സന്‍ട്രിക് ആയ ഡോക്ടറുടെ റോളില്‍. ആ റോളിലേക്ക് ആരെ കാസ്റ്റ് ചെയ്യും എന്ന് ആലോചിക്കുമ്പോഴാണ് വേണു, ഗോപിയുടെ പേര് നിര്‍ദേശിക്കുന്നത്. സിനിമയില്‍ സ്ഥിരം കാണുന്ന മുഖങ്ങള്‍ക്കുപകരം വ്യത്യസ്തതയുള്ള ആരെങ്കിലും വേണം എന്ന് എനിക്ക് നിര്‍ബന്ധമുണ്ടായിരുന്നു. ‘കൊടിയേറ്റ’ത്തില്‍ ഗംഭീര പ്രകടനം കാഴ്ചവെച്ച് ഭരത് അവാര്‍ഡ് നേടിയെങ്കിലും ആര്‍ട്ട് സിനിമകളായിരുന്നു മുഖ്യതട്ടകം എന്നതുകൊണ്ടുതന്നെ എണ്ണത്തില്‍ വളരെ കുറവ് സിനിമകളില്‍ മാത്രമേ ഗോപി അഭിനയിച്ചിരുന്നുള്ളൂ. Dr Thomas is the Voice of Reason in corporate honcho Madhavankutty’s life. He is probably the only friend in the latter’s life and the only one whose words he pays heed to. Dr Thomas typically looks at life from a third-person perspective, and he is empathetic to the sufferings of his ailing wards, despite what his profession demands of him. There is also a tender and nuanced side to his brusque and brutally frank persona, as he opens his heart to Mrs Madhavan Kutty about his chance meeting with his ex-wife and her new husband. 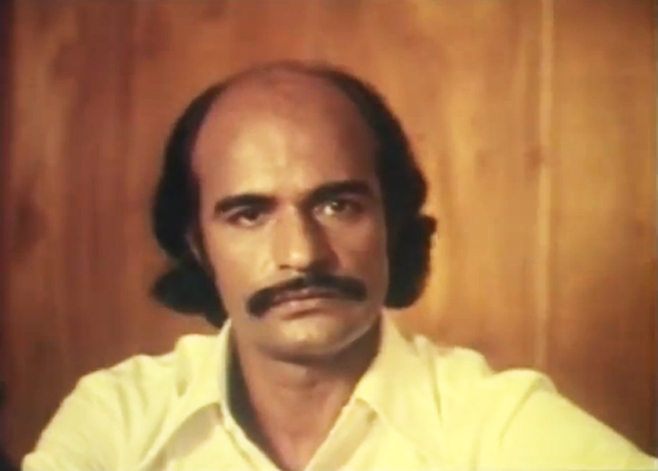 Fleeting as it is, in the short appearance he has onscreen as Dr Thomas, Bharat Gopy paints a wholesome picture of the physician with a heart of gold in Vida Parayum Munpe (1981). Addendum : John Paul, in his memoirs on Bharat Gopy (Adayalanakshthramaayi Gopy) recalls how Bharat Gopy was apprehensive of acting in the movie along with Prem Nazir, the evergreen Hero of Malayalam Cinema, who by then had completed close to three decades as the Leading Man in Malayalam films. He somehow had this pre-conceived notion that it would be virtually impossible to get along with a star and his starry airs. But Prem Nazir turned out to be a true gentleman, to the point of even inquiring about Gopy’s relatives back in Chirayinkeezhu, whom he himself had scant knowledge of. Prem Nazir and Bharath Gopi co starred in one more movie too.. In Vijay Menon’s ‘Nilavinte Nattil’. Thank you Doctor for this invaluable update.